WE HIT THE NEWSSTAND each Thursday chock full of what we modestly feel are the best in arts, eats, and news. But for seven scintillating days we turn the tables, inviting our readers to fill us in on the best discoveries in Sonoma County, ranging from the smallest details of the best dry cleaner guaranteed to return your cherished garments buttons and all, to the big-picture places perfect for falling to one's knee to declare oneself almost definitely possibly ready to fall in love. Of course, we can't resist making a few picks of our own. Writers in this, our third annual Sonoma County Independent Best of Sonoma County Readers' Poll, are Dylan Bennett, Steve Bjerklie, Greg Cahill, Gretchen Giles, Zooey Lasinger, Sara Peyton, Bruce Robinson, and David Templeton. We thank the more than 1,000 readers who took the time to fill out that ballot and lick that stamp. We have learned many things from you. For example, we have learned that Goat Rock is a heck of a place to view a sunset--and we hope that you don't all decide to sit on it at once. 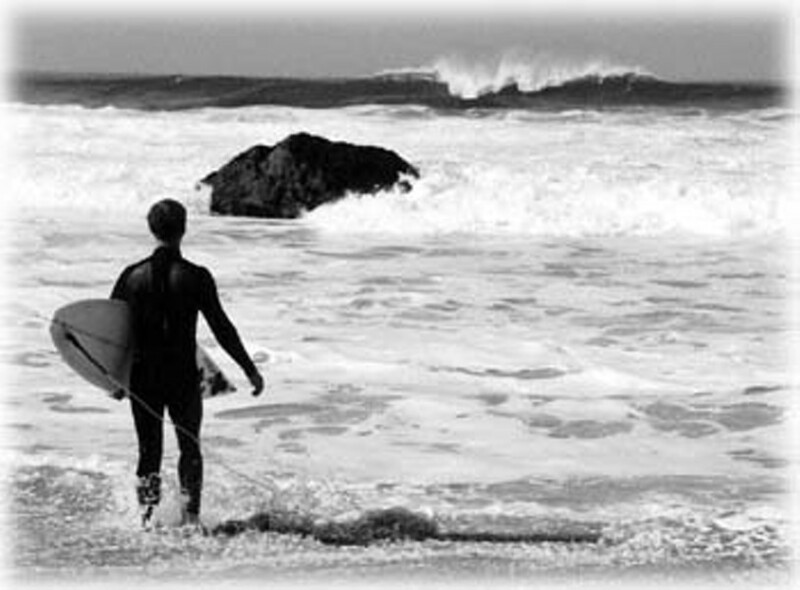 We have learned about the simple joys of surfing at Salmon Creek State Beach. Your picks ranged from the best local art gallery (congrats to Santa Rosa Junior College) to your favorite vegetarian dining place (forks off to the East West Bakery Cafe). We also have learned from a gentleman, who claims to be a reverend, that Santa Rosa Adult Books and Videos is his preferred gift store, erotica shop, first-date meeting place, and favorite necking spot. Sometimes we learn more than we want to know. And then there is the woman who ranks Helen Putnam Plaza in Petaluma as the county's best outdoor adventure spot--evidently the caffeinated teen denizens of that park are even wilder than some recent press reports have misled us to believe. Sure, most of our readers are sweet as honey. But then there is that cranky fella whose passionate handwriting dashes out bad-tempered responses: "Quacks! All of them!" he replies when asked to choose the best chiropractor; "Piss on the Internet!" he snaps at the best web site; "Burn 'em all down!" he snorts in regard to the best local C&W bar; and we're sorry to learn that the best bartender in the county "quit three years ago." We figure this guy must have been that bartender--in any case, he could sure use another round. Looking for the best tattoo? Got 25 to life? One reader suggests San Quentin State Prison--"Oops!" she adds coyly, "not in Sonoma County." Best brunch? One reader favors Jack-in-the-Box for an elegant late-morning meal. Yet another balks at the notion of being turned into lunch--best surfing spot? "Don't like sharks," he responds shortly. On the other hand, there is the explosion of responses we have received for the best birthing spot category: any taxicab, the woods, or even a '69 VW will do. Less traditional choices include Chuck E. Cheese's (talk about the ultimate first birthday party, though the sight of a 7-foot-tall robotic rat could be rather traumatic) and the Catholic Church (no Immaculate Conception jokes, please). As for the grail-like quest for that favorite fishing spot, well, our readers will never tell. One respondent jots down with guarded finality: "It's a secret." Aw, come on, we'll only tell 78,000 of our closest friends.